University of Chicago Press, 9780226195186, 224pp. Originally focused on primate studies through her observations of wild monkeys in Kenya and of captive apes, Barbara J. King now takes up intelligence and emotion in a wide variety of animals ranging from chimpanzees to chickens. 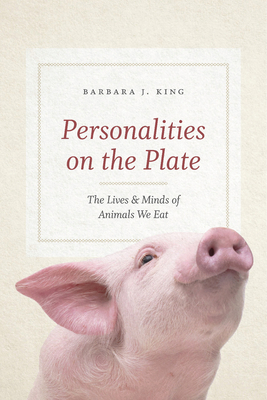 She is the author of a number of books, including Personalities on the Plate: The Lives and Minds of Animals We Eat, How Animals Grieve, Being with Animals and Evolving God: A Provocative View on the Origins of Religion. She writes weekly for NPR’s 13.7 Cosmos and Culture blog and frequently for the TLS. Now professor emerita at the College of William and Mary, where she taught anthropology for 28 years, King lives in Gloucester County, Virginia, with her husband and many rescued cats, and reads as much fiction as possible.